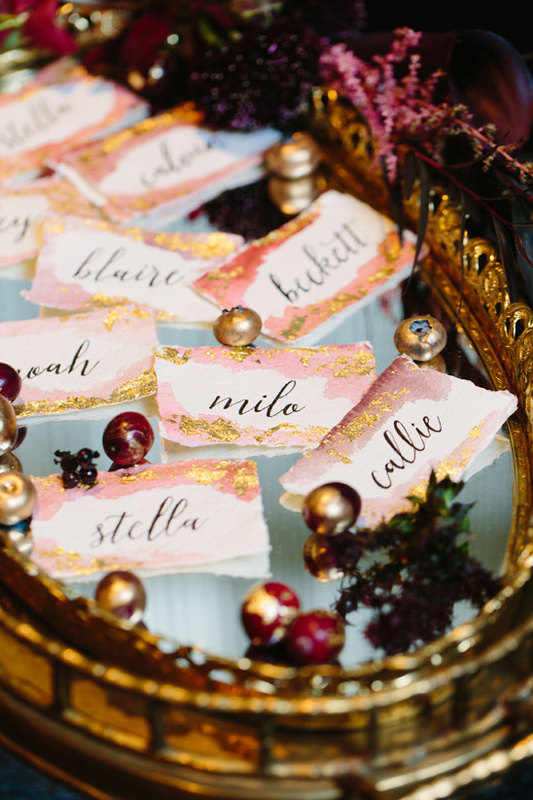 Is soft and white not really your thing? 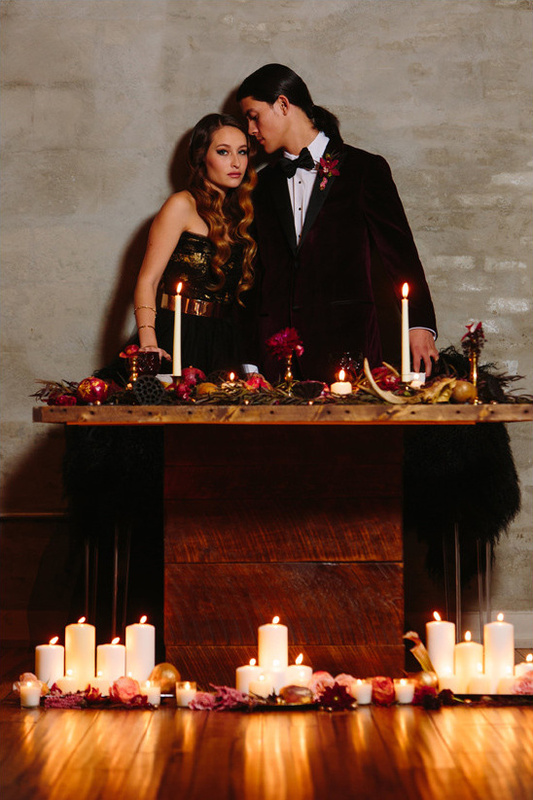 Forget Me Not Vintage Rentals understands, which is why they put together this Edgar Allen Poe inspired wedding shoot! 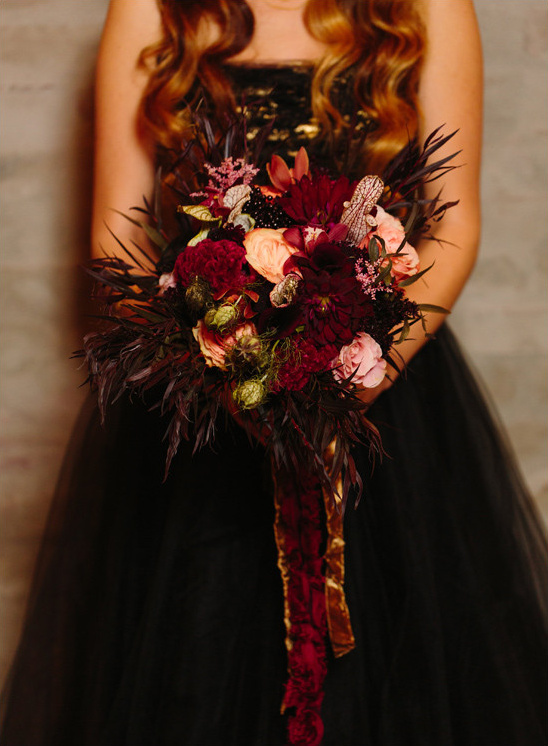 Dark elegance absolutely exudes from the photos by Jessica Cooper Photography, and you can see more of these black red and Poe wedding ideas when you visit the full gallery here. 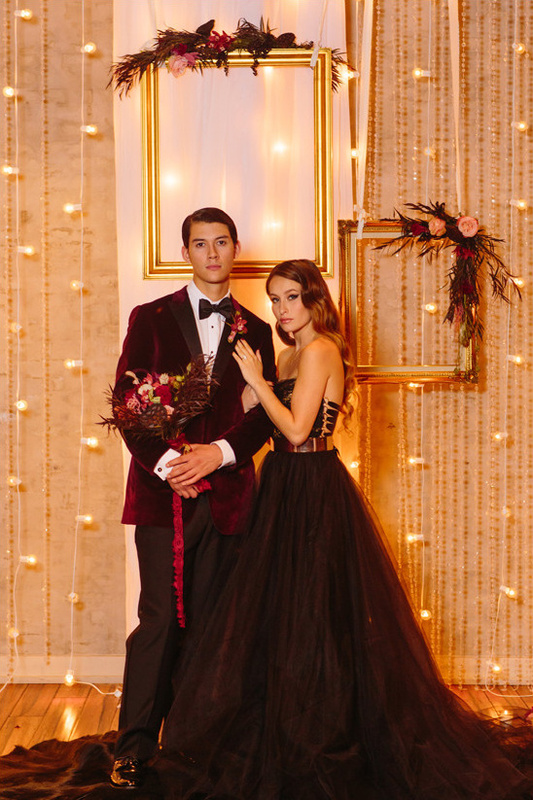 From Forget Me Not Vintage Rentals: With Edgar Allen Poe as inspiration, the quote “We loved with a love that was more than love” lent to us into the beauty that became ‘Nevermore Romantic and Dark’If you are craving these glamorous cocktails they couldn't be easier! 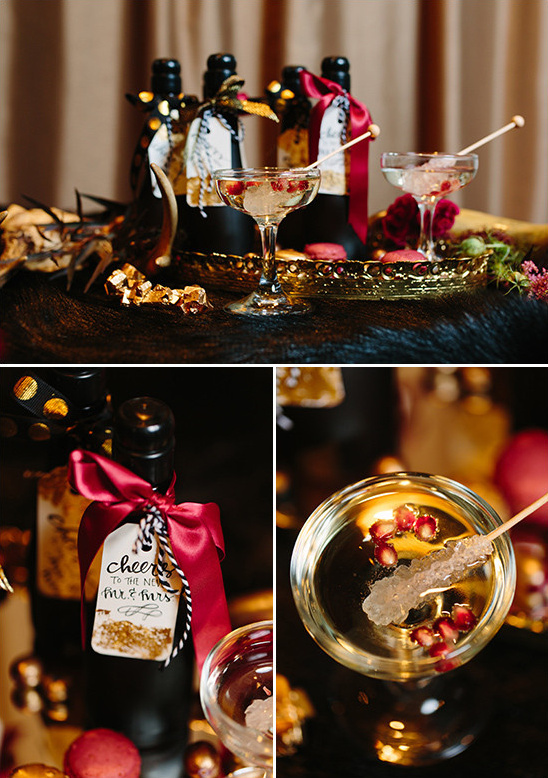 Pour your guests glasses of champagne, garnish with pomegranate seeds and stir with rock candy! 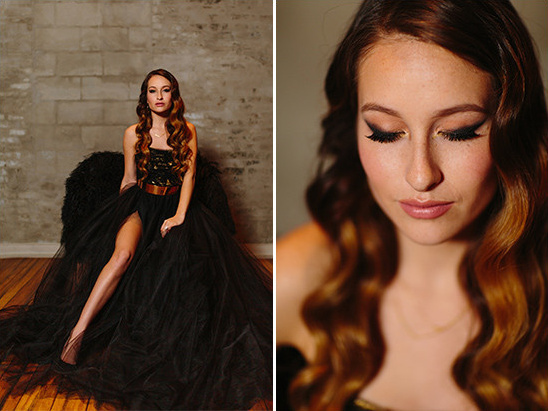 The Handmade nontraditional wedding gown made by Caroline of Sweet Carolines Styles gave the whole shoot life, and is really where we drew most of our inspiration. 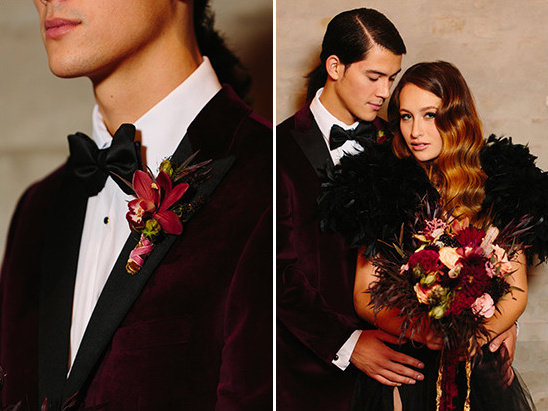 Beautifully captured with the bold gold belt and optional feather jacket, it gives a regal appeal that remains refined. 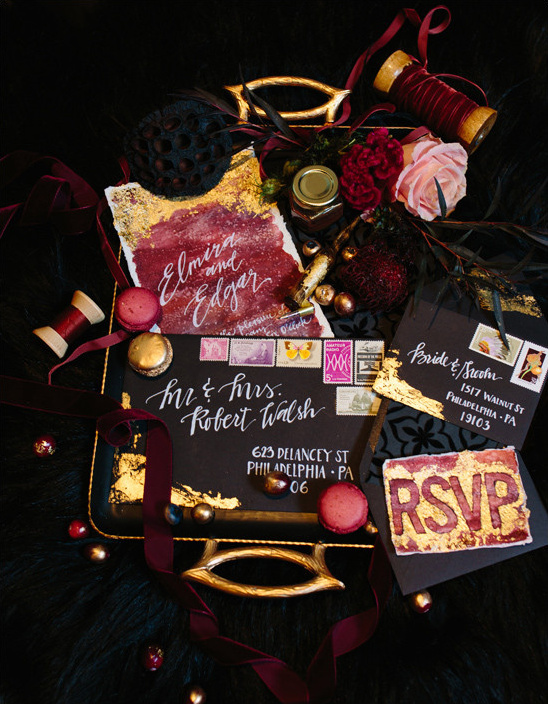 Deep rich fall foliage with natural elements like gold flecked fruit and real antlers. 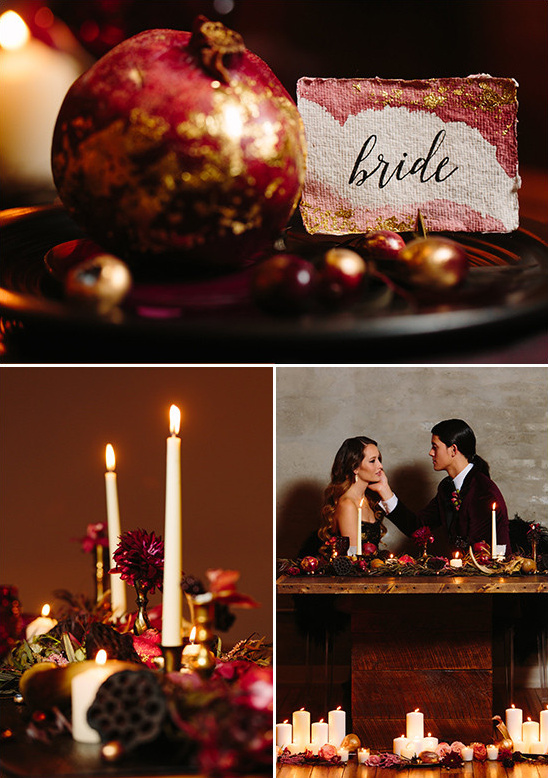 Candles and rich amber light. 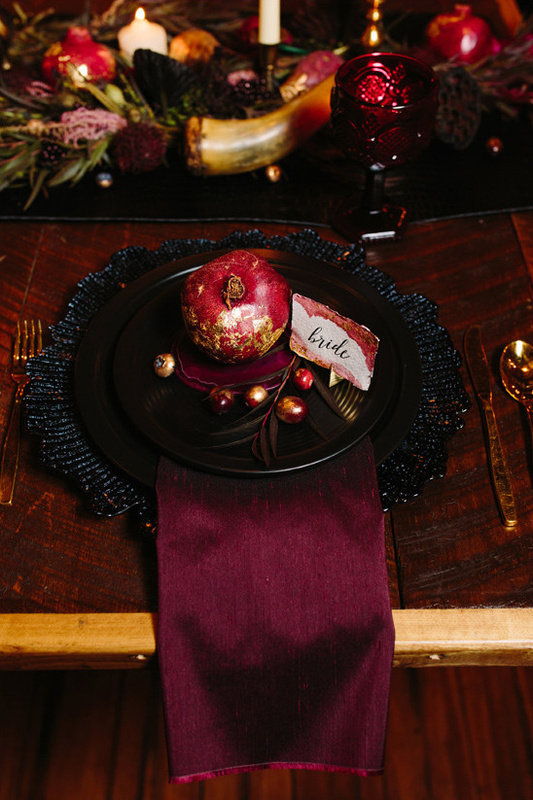 Place settings with dainty gold flatware, fruit, flowers and beautifully written calligraphy on soft natural textured paper, all a top detailed black chargers and plates. 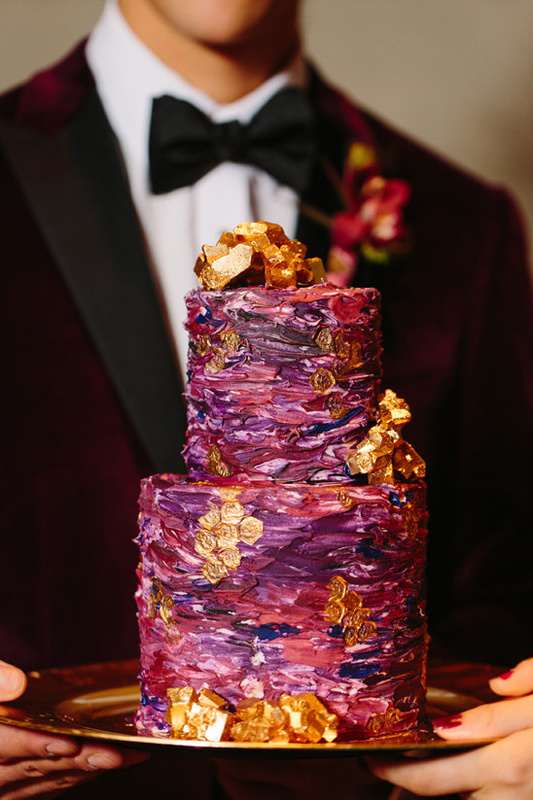 These rich details allow a romantic and intimate setting to enjoy a celebratory meal with the one you love. 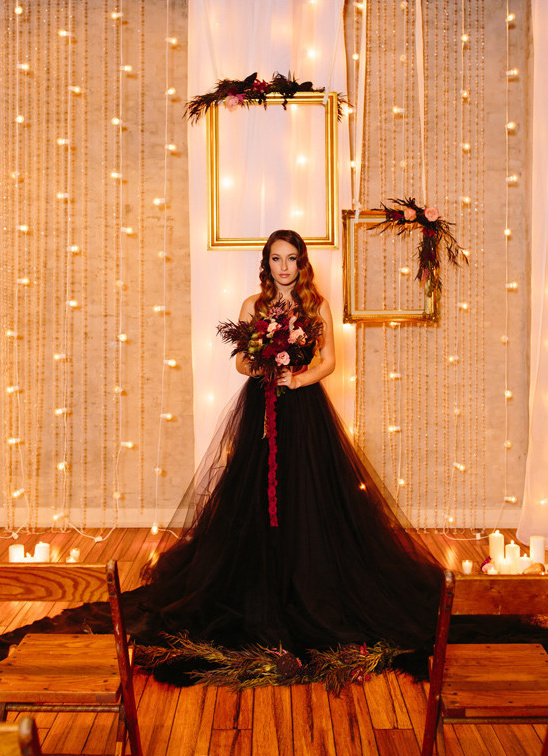 The ceremony is where love is all you can see, with the abundant candlelight playing on the beautiful curves of their faces you wouldn’t want to look anywhere else. 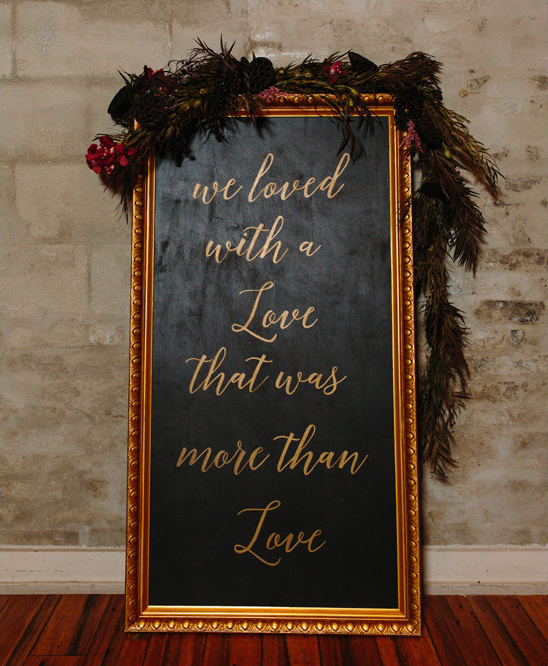 The hanging lights and soft fabrics accented with gold colors from the hanging frames create an intimate ceremony space that will surely move everyone there.